WordPress is the perfect platform for creating just about any type of website. It’s beginner-friendly and very flexible. However, there are certain things it isn’t intended to do by default, so you may find yourself looking for a way to add specific features. Fortunately, the larger WordPress community has created a functionality solution in the form of plugins. These are add-ons you can install on your WordPress site to include new options and functionality. There’s likely a plugin available that can accomplish just about anything you might want to do with your site. However, wading through all of the available plugin options can be time-consuming, so in this article, we’ll introduce nine of the most popular and highly-recommended WordPress plugins for 2019. First though, let’s talk a little more about what plugins are, why they’re so useful, and where you can find them! The core WordPress platform includes a lot of useful features that make building and running a website simple — even for complete beginners. However, it can only do so much. You may find you want more options or functionality than WordPress core can provide on its own, which is where plugins come in. WordPress plugins are pieces of add-on software you can download and install to your site. They provide additional features and functionality — sometimes making just one small change, other times implementing an entire suite of options. You can find a plugin that will add nearly anything to your site, including contact forms, an online store, or extra security features. You can even use plugins to boost conversions and generate leads! There are thousands of plugins to choose from at various price points. We’ll talk more about where to look for them soon, but first, let’s dig a little deeper into why they’re so important. Related: How Much Does It Actually Cost to Run a WordPress Website? As we’ve explained, WordPress is a powerful and flexible solution right out of the box. However, if you want to create a truly memorable and unique site, plugins are a perfect solution. This is true whether you’re running a blog or a huge e-commerce site. Many plugins add the specific, targeted features and functionality you need for the type of site you’re creating. Alternately, some plugins make the practical aspects of building a website easier (such as page-builder plugins). Finally, plugins can make your site safer and improve its performance. In fact, we’ve already identified 13 of the best security plugins for your website. What’s more, WordPress’ thriving community means there are many excellent free or low-cost plugin options — so you don’t have to break the bank to improve your site. As long as you’re making sure to select the right plugins, there’s really no reason not to take advantage of all the benefits they offer. Now that we’ve discussed why adding plugins to your WordPress site is worthwhile, it’s time to talk about how to do it! With so much choice, it’s important to make your selections carefully. Poorly designed or older plugins can slow down or even break your site. Whether the specific features and/or functionality of the plugin matches what you’re looking to achieve. User reviews and ratings, and the plugin’s overall popularity (a popular plugin isn’t necessarily better, but it’s a good sign). The plugin’s price and plan options. How recently the plugin was updated (in general, be wary of anything that’s gone longer than six months without an update). There are plenty of places online to find plugins, including directories, storefronts, and developers’ websites. For free plugins, we’d recommend starting with the official WordPress.org Plugin Directory. It has a myriad of excellent options and displays all the facts you need to make an informed choice. If you’re interested in premium plugins you can check out CodeCanyon for an equally impressive selection. Once you’ve found a plugin you’d like to try out, it’s simple to install and activate it on your site. Keep in mind that it’s best to only add one plugin at a time, so if any issues crop up you can identify the cause. If you’re still feeling overwhelmed by all of the different types of available plugins, don’t worry. That’s why we’ve compiled this list of nine of our current favorites. Yeah, you’re welcome. The following plugins are highly recommended for beginners and advanced users alike. Each meets the criteria we discussed in the previous section and offers a unique feature set. In short, if you’re creating an awesome WordPress website in 2019 or sprucing up an old site, these are the first plugins you’ll want to check out! Jetpack is an all-in-one plugin created by the developers of WordPress (Automattic), that offers a whole suite of features activated on a module-by-module basis. This includes functionality such as contact forms, site security, user engagement options, site backups, and much more. If you pay for the premium version, you’ll also get access to features that can help your site rank higher in search engines, and a number of useful advertising tools. 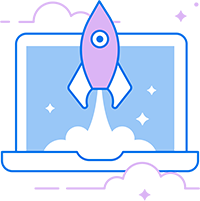 While Jetpack Professional is normally $299 per year, you can get it for free with our DreamPress Plus or Advanced hosting plans. That way, you’ll have access to both a fully-managed hosting system and a comprehensive set of features to keep your site secure. Provides protection from brute force attacks. Lets you secure your logins and add two-factor authentication to your site. Includes various analytics and social sharing tools. Search Engine Optimization (SEO) is a strategy that, when followed correctly, can help your site rank higher in search engines such as Google and Bing. However, it’s a complicated set of rules and guidelines and can be difficult to implement effectively. Fortunately, Yoast SEO makes it easy to optimize your posts and pages by offering you a set of tools to hone your keywords and customize what will appear in search engines. Enables you to optimize your search engine results, including titles, URLs, and meta descriptions. Analyzes your pages and posts and points out areas for improvement. Lets you control what pages of your site are displayed in Google search results. You’ll likely want your site’s visitors to be able to get in touch with you, whether it’s just to share their thoughts on your content or to sign up for your services. Including a contact form directly on your site is a convenient way to make that possible. Contact Form 7 enables you to add multiple such forms to your pages — and customize them so users can submit exactly the information you need. Lets you create and customize contact forms and insert them into your pages or posts. Makes it easy to add unique fields to your forms. Enables you to include a reCAPTCHA solution on your forms to combat spam. One thing the core WordPress platform doesn’t include by default is the ability to create an e-commerce store. That’s where WooCommerce comes in. This plugin is the most popular e-commerce solution for WordPress and lets you create an online store to sell physical and/or digital products. Its developers (the folks at Automattic) also offer many useful free and premium extensions that can provide additional functionality for your store. Enables you to display and sell physical and digital goods directly from your website. Includes multiple payment and shipping options. Offers access to a wide range of features via extensions. There are plenty of plugins available that enable you to add a list of events to your website. The Events Calendar is one of the best, since it’s both easy to use and provides high-quality results. Plus, you can fully customize your calendar — and keeping it updated is simple. Create events and add them to one organized calendar. Enable users to view your calendar in multiple ways. Incorporate additional features, such as a search function and maps. Slider Revolution is another very popular plugin that’s included in many premium WordPress themes. It helps you spruce up your site’s design by enabling you to create sliders, carousels, and more. This plugin offers many options to display your images, posts, videos, and other content in a visually appealing and user-friendly manner. Includes a visual, drag-and-drop page editor to simplify the design process. Lets you add sliders, carousels, and hero scenes to your site. Offers a front page designer, so you can customize your home page. These days it’s difficult to build an effective online presence without strategic use of social media. Fortunately, integrating your social media with WordPress is simple with Easy Social Share Buttons for WordPress. Using this plugin, you can add buttons to your site that encourages visitors to share your content via their own social media accounts. What’s more, there are also a wealth of additional features, such as email opt-in forms, analytics, and a number of extensions that help enhance the sharing experience. Enables you to add social media sharing buttons to your posts and pages. Includes 52 templates to start from, plus many design options and animations. Integrates with over 50 different social media networks. Akismet comes pre-installed on many WordPress installations. It’s easy to overlook this plugin or fail to activate it, but it’s an excellent tool you’ll want to take advantage of. It protects your site from spam comments by filtering them out, so visitors can engage with your content without having to wade through irrelevant advertisements or repeat messages. The free version is sufficient for most sites, but the premium option can be a smart choice for businesses. Checks all comments to your site automatically and filters out potential spam. Lets you review what’s been marked as spam, so you can correct the plugin if necessary. 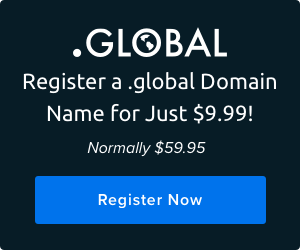 Connects to a global, constantly-updated database, which means it’s always improving. Take security seriously? DreamPress comes with a WordPress-specific firewall that eliminates the need for extra watchdog plugins. No matter what type of site you’re running, it’s important to keep regular backups. Having a safe, recent copy of your site stored away enables you to bounce back quickly from hacks, errors, and other issues. UpdraftPlus is arguably the most popular WordPress backup plugin — for good reason. It’s simple to use, provides a lot of options for where to store your files, and offers more functionality than most other backup plugins. Enables you to back up and restore your website with a single click. Lets you store your backups to places like Dropbox, Google Drive, and DreamObjects. Makes it easy to set up automated backup schedules, saving you a lot of time. WordPress plugins are such useful tools that it’s almost certain you’ll want a few to round out your site. The only tricky part is choosing the best ones since there are thousands available that do almost anything you could think of. In this list, we’ve introduced you to nine excellent plugins that could serve your site well in 2019.